Once it was announced that Andy Pettitte was going to come out of retirement to pitch yet another season for the Yankees, the first thing I thought was, why bother? What does he have left to prove? He has 240 regular season wins to his credit, plus another 19 playoff game wins. Pettitte will turn 40-years old in June. Why take the risk of potentially embarrassing himself in front of his fans? 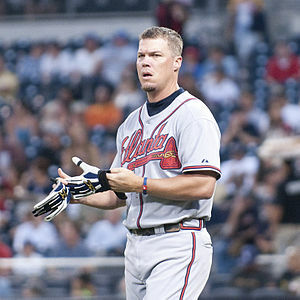 Meanwhile, Chipper Jones is heading the other way, recently announcing that 2o12 will be his final season in the Majors. When he was healthy enough to play, Chipper (who turns 40 in April) put up some decent numbers last season. Again, though, one has to wonder why it is even necessary to attempt one more season. Like Pettitte, Jones has had a long and distinguished career, so why risk going out with a sub-par performance? This led me to consider how few players in baseball history have retired at or near the top of their game. After examining the final seasons of many of baseball’s best players, the answer is damn few. If Pettitte had decided to stay retired, his final performance in 2010, an 11-3 record in 21 starts with a 3.28 ERA (and an ERA+ of 132), would actually qualify as one of the finest final season performances by any pitcher in baseball history. Similarly, if Chipper Jones had retired after last season when he swatted 33 doubles to go along with his 18 homers, 70 RBI and OPS+ of 123, he could have held his head high. This is not to say that Chipper or Pettitte will perform terribly in 2012, but baseball’s long history of final performances is one long, ugly indictment of playing one season too many. Having said that, here are eight random final season performances that were actually quite impressive. In some cases, the player was forced into retirement due to physical reasons. In other cases, the player had become so controversial that no team would sign him, regardless of his ability to remain productive. 1) Albert (Joey) Belle – You remember him best, perhaps, as the infamous sociopath who tried to run over some kids with his car on Halloween night. You might also remember that Belle was one hell of a hitter during his career. As far as I can tell, Belle is the only player in history to drive in at least 95 runs in every one of his full seasons in the Majors, including 103 in 2000, his final season. In 2000, Belle cranked 37 doubles to go with 23 homers and a .281 batting average for the Orioles. His OPS was .817. While not one of his greatest years, it was far superior to the average final season of most Major League sluggers. He retired at the age of 33. 2) Eddie Plank – “Gettysburg” Eddie Plank, unlike the vast majority of highly successful pitchers, Plank did just fine in his last season in the Majors. Although his record in his final season in 1917 (pitching for the St. Louis Browns) was just 5-6, he posted a sparkling 1.79 ERA in 131 innings. His ERA+ was an outstanding 147. Clearly, this 41-year old future HOF’er had something left in the tank. But he wisely decided to call it quits after that final season. 3) Reggie Smith – One of the most underrated players in baseball history, and one of the top 50 players not in the Hall of Fame, Smith enjoyed his final hurrah in 1982 at the age of 37 while playing for the San Francisco Giants. 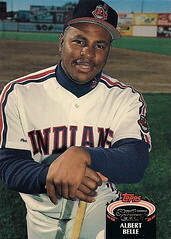 Entering ’82, Smith was just four homers shy of 300 for his career. He ended up slugging 18 while playing his home games in Candlestick Park, a notoriously difficult park for hitters. Smith’s triple slash line in ’82: .284 / .364 / .470, with an OPS+ of 134, were remarkably similar to his overall career numbers: .287 / .366 / .489, OPS+ of 137. In other words, Smith was about as productive in his final season as he had been in any previous average year. That’s not at all a bad way to go out. 4) Tony Gwynn– Even in his final season at age 41, was anyone really surprised that Gwynn batted .324? Granted, he played in just 71 games in 2001, but his OPS+ during those plate appearance, 127, was pretty close to his career OPS+ of 132. Gwynn was essentially the same professional hitter at age 41 as he had been much earlier in his career. 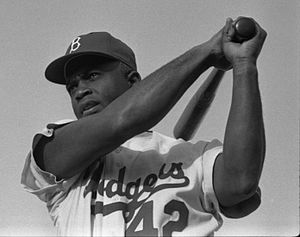 5) Jackie Robinson – Given the relentless abuse heaped upon him day after day, year after year, it’s a wonder he played as long as he did. Robinson was already 28-years old when he debuted in the Majors in 1947. He played a solid decade before retiring after the 1956 season at the age of 37. During this decade, he was a career .311 hitter who scored at least 99 runs in each of his first seven seasons. His career OPS+ was an excellent 131. 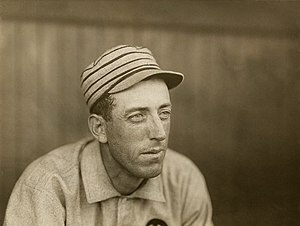 In his final season, despite playing in just 117 games, Robinson drew 60 walks while striking out just 32 times, posting a .382 on-base percentage. He posted an outstanding dWAR of 1.9, and a respectable overall WAR of 4.6, third best on the 1st place Dodgers. He also finished 16th in MVP voting, not a bad way to end a legendary career. 6) Will Clark – Will “The Thrill” Clark was one of my favorite players of the late 1980’s into the early ’90’s. He played with intensity, had a beautiful left-handed line-drive swing, and was nimble around first base. His career OPS+ of 137 is the same as the aforementioned Reggie Smith, and is better than those of Hall of Famers Bill Terry, George Brett, Al Kaline, and Paul Waner. His final season in the year 2000 did nothing to blemish his fine career. In splitting his season between Baltimore and St. Louis, Clark posted a fine triple slash line of .318 / .419 / .546 and an OPS+ of 144 in 507 plate appearances. His overall WAR was a respectable 4.1. Retiring at the age of 36, Clark certainly went out at the top of his game. 7) Mike Mussina – That rarest of rare pitchers, Mussina decided to retire after winning 20 games for the first time in his career (at age 39) while pitching for the New York Yankees in 2008. As far as I know, no health issues would have prevented him from returning for yet another season at the age of 40. Clearly, he decided he’d had enough. Those 20 victories pushed his career total to 270, and probable induction into the Hall of Fame when he becomes eligible. 8) Sandy Koufax – Koufax and Mussina are the only two pitchers since 1920 who retired after posting 20-win seasons. Mussina did it out of choice. 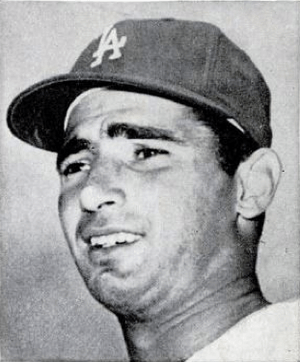 Koufax was forced into retirement due to chronic pain in his elbow. It’s interesting to speculate how much longer Koufax would have pitched had he not suffered from this lingering pain. Would he have eventually bounced around like Steve Carlton in his final years, trying to recapture lost glory? And if he had tried to pitch while declining in effectiveness year after year, would his legendary reputation have become diminished over time? Regardless, Koufax’s final season in 1966 at age 30, pitching for the L.A. Dodgers, was the single finest final performance in baseball history. En route to his third Cy Young award over four seasons, Koufax posted a 27-9 record, a 1.73 ERA (which led the league for the fifth straight year), 27 complete games in 41 starts (both of which led the league), 317 strikeouts, and a ridiculous ERA+ of 190. His WAR was 10.8, matching his career high set in 1963. I think Neil Young had it correct when he said it’s better to burn out than to fade away. Regarding Chipper Jones and Andy Pettitte, it remains to be seen if their final seasons will match those listed above, or if their respective final seasons were one year too many.